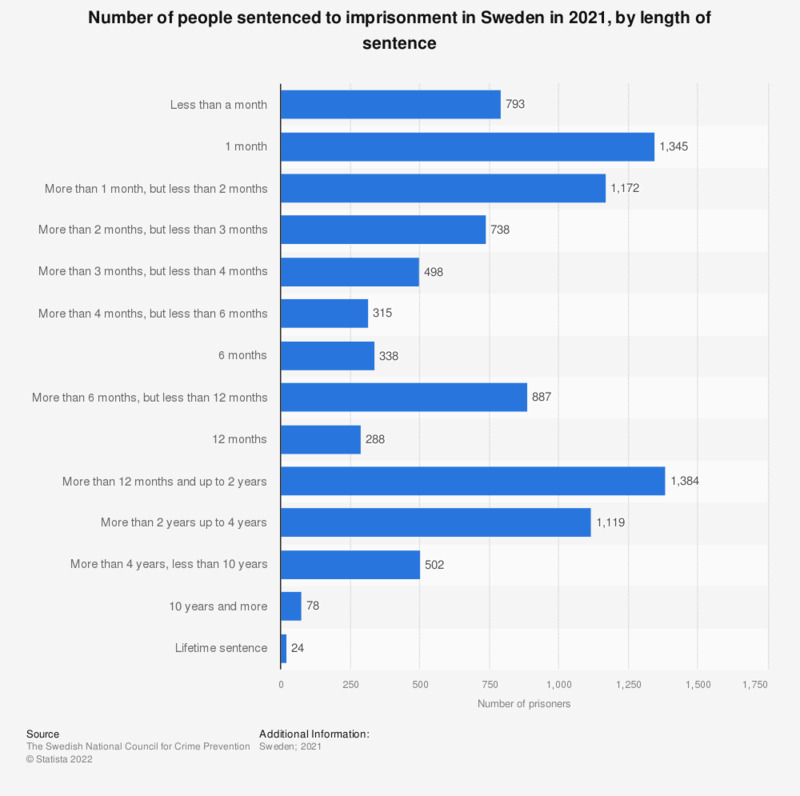 This statistic shows the number of persons sentenced to imprisonment in Sweden in 2016, by length of sentence. The length of sentence with the highest number of prisoners was more than one month but less than 2 months, with 1,217 prisoners serving this sentence . The number of prisoners with lifetime sentence amounted to 7.